Nestled in the midst of beautiful surroundings, Radhika Beach Resort Diu is undoubtedly a pleasurable accommodation where staying, even for a day, is an experience in itself. 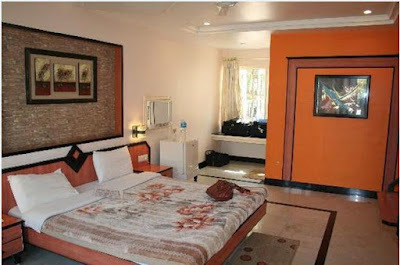 It is an ideal staying place for both the leisure and business travellers where they can fulfil their multiple purposes. You can book any of its rooms and suites to enjoy home staying experience alongside a picturesque view of the surroundings. Moreover, each of these rooms are replete with ranges of modern amenities taking you at the zenith of calmness and comfortable. You can add more fun to your accommodation at Radhika Beach Resort by tasting delicious food items at its multi-facilitated restaurants. 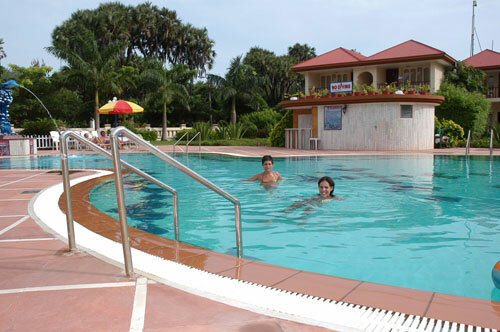 So keep reading below to know more about this magnificent resort in Diu. If you have chosen Radhika Beach Resort as your accommodation while touring in Diu, then leave out any worry about your relaxed stay. It is because it offers accommodation to the guests at its well-furnished and well-comprised rooms and suites. Each of them has wonderful arrangements of beds and in-room dining along with facilities like local and international call facility, travel assistance, safe deposit boxes, provision store, doctor on call, running hot & cold water and 24 hours room service. Radhika Beach Resort Diu surely makes your accommodation more entertaining by offering delectable food items from the country and also from other parts of the world. It locates a multi-cuisine restaurant known as 'Rivera' where the guests enjoy tasting Continental, Indian and Chinese food items. Sea food is also served here, which is prepared by professional chefs. Besides that, there is a well-stocked bar that can relish your moments at this awesome property. Imagine holding a business meeting or solemnizing a personal event in the lap of nature. Yes, it is true, thanks to Radhika Beach Resort Diu. It has state-of-the-art event venues in the form of a conference hall where corporate parties, seminars, business discussions, and other official gatherings are constantly organized. The conference hall has the maximum seating capacity of 150 people and it is adorned with facilities like screen, white board, podium, computer system, cordless mike, conference kit, laser pointer and Dias. Staying in between modern amenities is a pleasurable experience and Radhika Beach Resort Diu provides you exactly the same experience via amenities like swimming pool, health club, kids’ activities, pool & table tennis and many other facilities. Radhika Beach Resort Diu is placed on a convenient location and easily accessible through road, rail and air transport ways. The airport is just one kilometre away from the hotel and a daily flight between Mumbai and Diu operates. From the airport, you can take assistance of resort's airport pick up service but that will be on request. The nearest railway station to the resort is Veraval and the major train are running from here to the cities like Rajkot and Ahmedabad. Similarly, regular bus service is available for the travellers from the cities like Ahmedabad, Bhavnagar, Gir, Una and Verval.